This year's edition of one of my favorite book/reading events began today. Each summer, SYNC gives readers free downloadable YA and classic audibooks--two titles every week, one a current YA title and a thematically similar classic title. Many of the YA titles are new, as in published in the last year or so. The only catch is that the audiobooks are available for free for just seven days, then a new pair of titles will be available. Oh, and you do need to enter your email address in order to download the book, but you won't get any spam or anything. 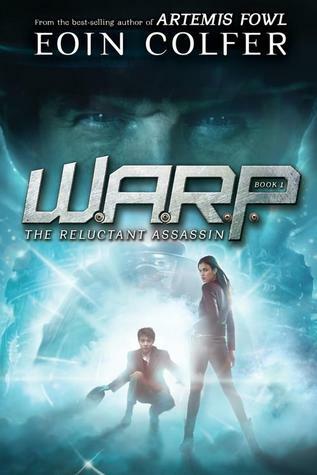 This year's SYNC program will run until August 13 and includes several books reviewed here at Guys Lit Wire, including Eoin Colfer's WARP: The Reluctant Assassin and Cristin Terrill's All Our Yesterdays. Other books you can download this summer include Forgive Me, Leonard Peacock by Matthew Quick, Divided We Fall by Trent Reedy, Code Name Verity by Elizabeth Wein, and bunch more. The full download schedule is here.